We can help you with Life Insurance Approval with Alcohol Treatment History! Finding an affordable life insurance policy with Alcohol Treatment History can be quite a challenge. Can I Qualify for Life Insurance if I have Alcohol Treatment History? Yes, most individuals with Alcohol Treatment History will be able to qualify for traditional life insurance, the type of insurance which requires a medical exam. Best Case Scenario – If Alcohol Treatment History occurred more than 24 months ago, symptoms are controlled and the complications of other organ damage are prevented, most cases have a “Mild Substandard” rating. Click here for quote at “Mild Substandard”. Moderate Case – If complications to the liver or kidney, however, are detected, but whose symptoms are mostly controlled and further damage are prevented, you may still qualify for a “Medium Substandard.” Click here for a quote at “Medium Substandard”. Severe Case – With severe and recent complications like brain dysfunction due to overuse of alcohol or current alcohol abuse is established, you may get a decline. For a severe case, however, you could still be eligible for a graded death benefit policy. 1. When did you start to use alcohol or at what age? This is a relevant question because it will give a good calculation of the extent of alcohol dependence you had. 2. How many years were you dependent on alcohol and how many bottles did you consume for each day? The answer to this question will give the assessor an idea on the calculated amount of alcohol you have consumed up to this date. This is a good marker of any possible physiologic complications caused by dependence on alcohol. 3. Have you experienced any withdrawal symptoms within the last 24 months? Symptoms of withdrawal such as agitation, anxiety, confusion, hallucinations, loss of appetite, nausea, increased pulse and blood pressure and excessive sweating usually occurs 6 to 8 hours or from 2 to 14 days after the last alcohol intake. And if symptoms are manifested within the last 24 months it means it is classified as current alcohol use and, therefore, will get a decline. 4. Do you have your record of Blood Alcohol Level (BAL) laboratory exams? If BAL results are available for at least the last 12 months, there is a good chance that you will be given the “mild substandard” rating. BAL is a good indicator of the last alcohol use of an individual. If there is current use, however, then it will get a decline. If laboratory and medical findings are able to establish no current use of alcohol, but there are signs of early medical complications then it may get a “medium substandard” rating. 5. 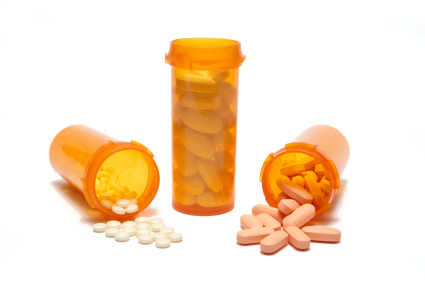 Are you taking maintenance medications for other health related conditions? Maintenance medications for heart ailments, liver disorders, stomach conditions, endocrine complications such as diabetes and mental conditions may be evident signs of complications from alcohol abuse. 6. Are you attending a rehabilitation program or support group recently? Attending a therapy management can be both a good or bad sign of an individual’s progress depending on the development of coping abilities necessary for long-term withdrawal from alcohol. Response to this question needs to be further evaluated whether a “mild substandard” or a “medium substandard” rating is appropriate. Alcohol Treatment History means that an individual has had a history of substance abuse from alcohol, liquor or beer at anytime in the past. Treatment history from the abuse also means that the misuse had major and recurrent adverse complications such as compulsive and violent behavior patterns, impaired physiologic, social and cognitive functioning. The abuse may also have affected organ functions such as the liver, the kidneys and the brain. Alcohol Treatment History covered by this discussion means no current alcohol use for the last 24 months.